You'll find unique and spacious floor plans for two and three bedroom apartment homes, with affordable luxury at lower than average rental rates. Wellesley Woods Apartments are a remarkable blend of style and value. All units come with wall to wall carpeting, mini-blinds, patio or balcony, and oversized closets. 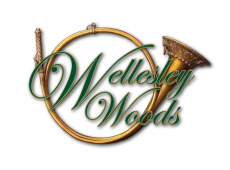 Ready to Join the Wellesley Woods Community?